36 photos of this 2 foot 6 inch gauge line in its final years in Minas Gerais in south eastern Brazil. A 12km section survives as the Sao Joao del Rei heritage railway, and all except two of the 11 locos seen in these photos have been preserved. 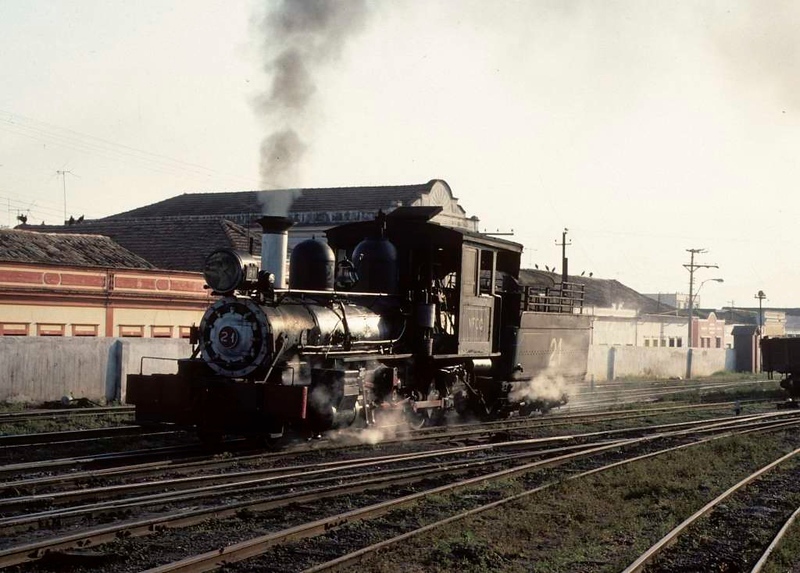 Viacao Ferrea Centro-Oeste (VFCO) No 21, Sao Joao del Rei, 16 October 1976 1. 4-4-0 built by Baldwin (38008 / 1912). Photo by Les Tindall.